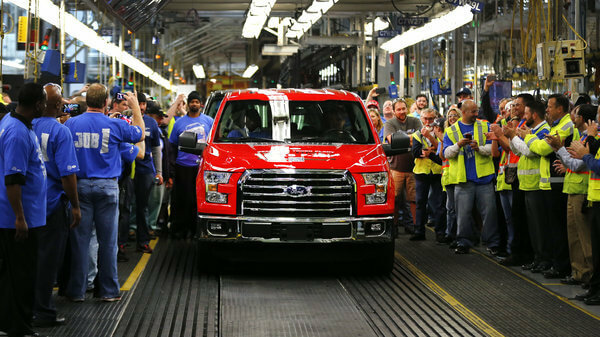 As major companies continue to compete for bottom line numbers, Ford looks to the future with their first Aluminum Body built vehicle. “Ford says that the new body cuts about 700 pounds off the weight of the truck, without sacrificing any capability. But the company isn’t willing to talk much about the most important reason for this redesign — what kind of miles per gallon the thing gets. Bragman says that Ford’s move to aluminum is one of the biggest gambles in the auto industry in years. Will customers who identify with the slogan “Built Ford Tough” want a lighter body truck? Other questions loom large, says Bragman.